As the owner of an eCommerce business, it’s critical that you choose the appropriate platform to support your website. Your site is the flagship of your brand and a key source of information about your company for both potential and returning customers. Your site’s attractiveness and accessibility shape how your customers think of your company, and whether they will become loyal customers. Additionally, your site’s design is critical for driving conversions and making sales. A site with a confusing layout or difficult-to-use checkout process could impact your sales negatively. When it comes to choosing a platform to design and host an eCommerce site, most merchants have heard of both Magento and Shopify. But which one offers the most benefits at the lowest cost? Here we’ll share why we think Magento is the right platform for your eCommerce business. Magento comes with a number of benefits that we believe make it a better platform than Shopify. Unlike Shopify, Magento gives you greater control over shaping your customer experience. Magento is both more flexible and more scalable than Shopify. Magento allows you to manage multiple stores and conduct transactions in multiple countries, languages, and currencies. You can also leverage Magento’s massive Extensions Marketplace to acquire a rich variety of capabilities and features and to allow your site to integrate with a host of other digital tools, from payment portals to security features. Magento provides support to companies ranging from small businesses to some of the largest companies in the world. Magento’s scalability allows your store to grow seamlessly alongside your business. It also comes with a number of out-of-the-box features that Shopify cannot match, including support for B2B models that Shopify is not well-equipped to support. Magento is more customizable than Shopify. While Shopify can provide simple templates, Magento is much better for building a custom website that shows off your products and appeals to your unique customer base. This feature often makes Magento the less expensive choice in the long run. Let’s break these comparisons down further. Magento powers 315,000 eCommerce sites around the world with representation in every major region. Magento supports the sites of 70 of the top 500 companies on the Internet Retailer Top B2C eCommerce 500 list and 40 of the top 300 B2B customers on the Internet Retailer B2B eCommerce 300 list. Therefore, it has a customer base ranging from individual store owners and small businesses to some of the biggest eCommerce brands in the world. In contrast, Shopify powers only 10 of the Internet Retailer Top 500 company sites. Magento runs on a global cloud infrastructure, which ensures 99.99% operational uptime and scalability for customers in any location. Magento’s powerful business tools also help more complex stores improve business agility and save time. In contrast, Shopify’s multi-tenant architecture means increased demand on one of Shopify’s merchant’s stores can degrade the performance of other Shopify sites. Additionally, Shopify throttles data exchanges between its core and add-on apps. This has the potential to slow your own site’s performance significantly during high-traffic periods, hindering scalability and degrading your customer experience. Magento is also far more customizable than Shopify. It is true that Shopify stores are easy to set up and can be serviced without much in-house technological knowledge. It is also possible to purchase additional apps and extensions from the Shopify app to create customizability. However, Shopify stores’ very simplicity means they often have “cookie-cutter” looks. This makes it difficult to differentiate your brand and products from those of your competitors. 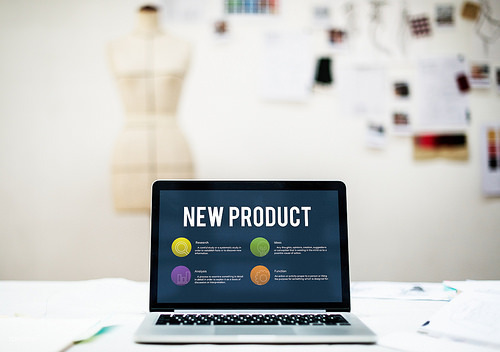 Each Shopify customization also makes designing and maintaining a site more complicated, which negates the benefits of Shopify’s simple, DIY template approach. In contrast, Magento can deliver adaptability and scalability for a vast array of eCommerce business types across industries. Magento brings the benefits of a cloud-based eCommerce solution without the restrictions that Shopify’s template approach creates. Magento Commerce includes enhanced content management tools that allow users to make changes quickly and easily or to work with a Magento partner to create more customizable options. Magento’s open-source approach also allows for virtually unlimited opportunities for customization. The Magento platform’s open-source nature facilitates the Magento Marketplace, which offers thousands of extensions that address a much wider variety of eCommerce needs. In contrast, Shopify’s technology stack is locked down, which leaves you with little recourse to manage or optimize your site’s performance on your own. Customizing Shopify could, therefore, also require getting assistance from a Shopify partner or developer who has experience using Shopify’s propriety Liquid language, making the management of your site more complicated and likely driving up costs, as well. Finally, Shopify lacks key features that are useful for managing and optimizing an eCommerce site, including wholesale functions, support for digital and complex products, advanced analytics, BI, omnichannel, and order management capabilities. Magento merchants can integrate their environments seamlessly with other back-end systems. Shopify’s approach to application programming interfaces (APIs) makes it more difficult to integrate. B2B eCommerce businesses typically have requirements that differ from B2C organizational requirements. B2B companies often deal with customers who have specific needs and preferences. For example, B2B companies are more likely to offer highly specialized products that customers purchase in bulk. Therefore, B2B online stores might need to provide customer-specific catalogs and pricing. Additionally, because B2B customers usually buy in bulk, B2B companies can offer discounts to their customers based on the size of their order, set minimum order requirements for specific products, and provide options for customers to search for products by Part Number or SKU and order in bulk. These unique B2B requirements must be met by an eCommerce platform that provides such customization and flexibility. While Shopify offers B2B options, it was originally engineered explicitly for B2C companies. This means Shopify’s apps and templates are often not configured to handle complex B2B workflows and transactions. Magento Commerce comes loaded with a wide range of options that are engineered to meet B2B companies’ needs. On a Magento-powered eCommerce site, B2B customers can manage their own company accounts. B2B eCommerce companies can configure their store sites in a customized way for key accounts, channel partners, or for multiple brands by setting up multiple tiers of buyers with specific permissions, custom prices, and so forth. You might have heard the argument that Shopify is less expensive than Magento on a monthly or even yearly basis. At first glance, Shopify’s licensing and upfront costs might be lower. In contrast, Magento could require higher upfront costs in terms of development resources or implementation services, especially for companies that do not have in-house capabilities. These companies often turn to an implementation partner instead of investing in developing this capacity on their own. While the upfront costs for Shopify’s basic plans can be less expensive than Magento’s, Shopify’s basic capabilities have significant feature gaps in comparison to Magento Commerce. Even the upgraded Shopify Plus plan has feature gaps. Third-party services, apps, and extensions can begin to plug these gaps, but adding on these types of services quickly raises the cost of using the Shopify platform. Each customization that deviates from Shopify’s basic templates will incur additional costs. Because the Shopify platform is less flexible, it could also incur additional costs as your business grows and your needs change. For example, Shopify Plus only allows one site per license, while the Magento Commerce license accommodates up to five sites. Thus, while Shopify’s upfront costs might be lower, Magento’s flexibility and scalability make starting out on the Magento platform both less expensive and less time-consuming for your business in the long run. Customer experience is critical to the success of your eCommerce business, so your eCommerce site needs to be configured to optimize customer experience. For example, customers who can move through the checkout process quickly and efficiently are less likely to abandon their carts in the process, leading to more sales. Thus, in addition to factors such as cost, scalability, and flexibility, you must consider customer experience when assessing the benefits of different eCommerce platforms. In this field, Magento stands out for its exceptionally user-friendly interface. Take, for example, Magento 2, which launched in 2015 and has been lauded for its customer-friendly checkout process. Magento comes packed with features that enable automatic guest checkout, one-click customer account creation, an option for a discount code box at check out, intuitive placement of payment and shipping information, among other checkout features. Such features are designed and proven to facilitate a better customer experience, leading to more sales and a positive impression of your brand. Growing your eCommerce business will require a well-designed search engine optimization, or SEO, strategy. SEO helps your site gain visibility in organic (i.e., nonpaid) search results. SEO is a great way to increase site traffic and build out your brand without paying for ads. You should set up your eCommerce platform, therefore, to facilitate a robust set of SEO options. The Shopify platform comes with a basic set of SEO options, such as optimizing inventory or product pages in SEO-friendly ways or editing meta-tags. However, you cannot make server-level configurations with Shopify because Shopify stores are self-hosted. This is a significant limitation. We prefer Magento’s SEO options because they have the ability to implement more diverse digital marketing strategies without much hassle. The company’s out-of-the-box SEO tools are not available on many other eCommerce platforms, including Shopify. Magento’s customizability allows you to make changes to your store design that optimize your site for SEO. Additionally, Magento’s open-source, nonhosted design enables a variety of other SEO customization options through the integration of extensions and API. At first glance, some eCommerce managers might think it will be easier and less expensive to work with Shopify because its out-of-the-box capabilities do not require implementation partners or much in-house development capacity. However, we see Magento’s extensive ecosystem of implementation partners as a benefit of using this platform. As noted, Magento’s customizability is a major benefit, and working with an implementation partner can be a cost-effective way to get a beautiful, well-designed site without developing the capabilities to do so in-house. Shopify does have a smaller group of implementation partners, but most of them are located in the United States, Australia, and the U.K., with less experience working outside of these markets. Additionally, because Shopify has fewer customizability options and operates on the proprietary Liquid language, there is a limited pool of developers who can contribute to projects on the Shopify platform. In contrast, Magento partners tend to have more experience working with a wide variety of clients on different projects. This is where IronPlane comes in. We are a full-service Magento agency with a team of Magento-certified developers and other solution specialists. Our team is on the board of the Meet Magento Association, and our lead developer has received the coveted title of Magento Master three years in a row. At IronPlane, we know your site is at the heart of your eCommerce business, providing the foundation for interactions with merchants and customers and serving to grow your business. We are ready to learn about your business’s unique needs and characteristics and to develop solutions specifically for you. Check out the success stories of some of our diverse clients. We work with both B2C and B2B companies and provide eCommerce site development, Magento 1 to Magento 2 migration, integration of multiple payment methods, enterprise resource planning, customer-relationship management, and point-of-sale integrations, and many other services. In addition to providing support and development for the Magento platform, we offer custom cloud architecture hosting for Magento and speed optimization and code review to make sure your site is running as efficiently as possible. Get a free quote from our team by booking a consultation appointment, and learn more about the custom eCommerce solutions we can offer your business.